NORTH MASSAPEQUA, Long Island -- Police said they arrested two Long Island men after they were found in a car preparing to inject heroin, as the young sons of one of the men stood nearby. Officers responded to a report of kids throwing rocks at cars in a parking lot on North Broadway in North Massapequa. At the location, they found two boys, 6 and 8, standing near a parked van. According to the Nassau County Police Department, the children's father, Daniel Bosco, 40, of North Massapequa, was sitting in the front passenger seat of a parked van with the door open and Daniel Barberis, 40, also of North Massapequa, was standing in front of him. Police said Barberis was preparing to inject Bosco with heroin. 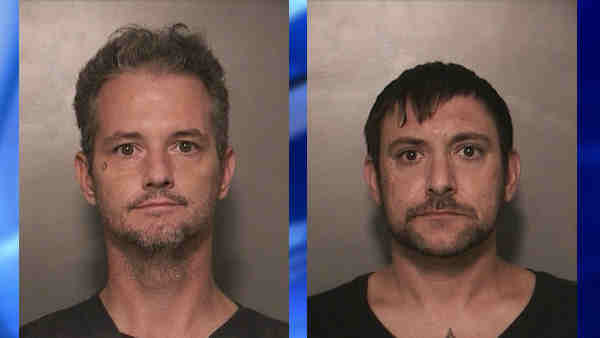 The officers arrested both men and the children were taken to a family member. No injuries were reported. Bosco faces several charges, including criminal possession of a controlled substance and endangering the welfare of a child. Barberis is charged with criminal possession of a controlled substance. They are expected to be arraigned Sept. 29.